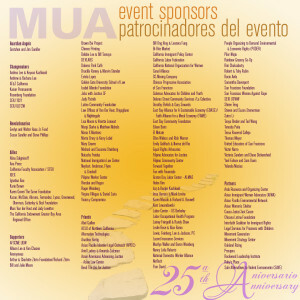 Thank you to everyone who made our 25th Anniversary Celebration a success! 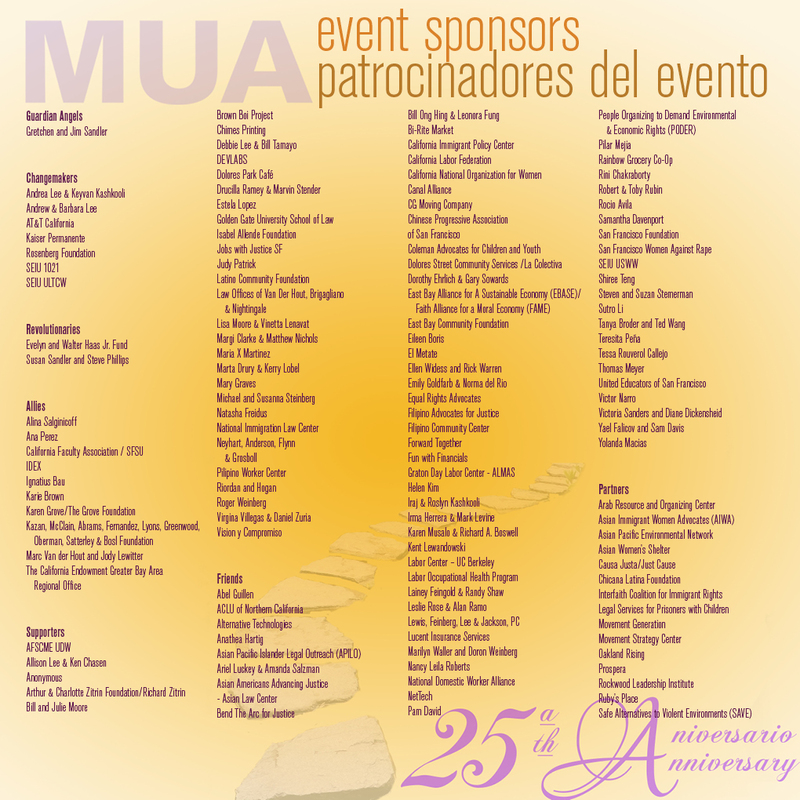 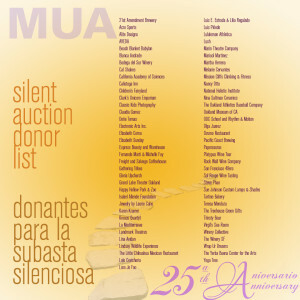 MUA recognizes our event sponsors and silent auction donors. 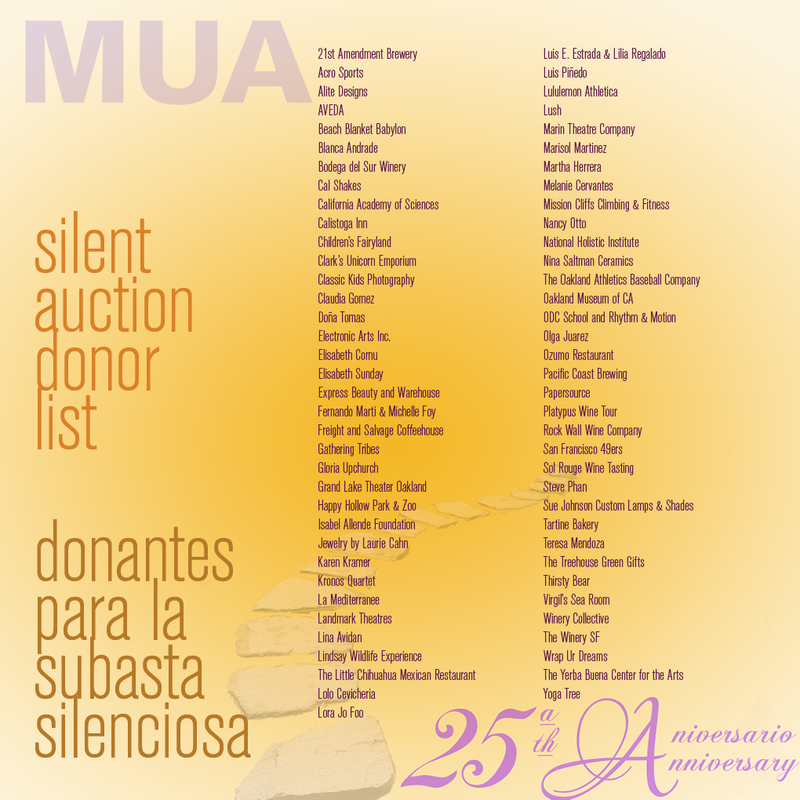 Thank you for helping us to raise over $100,000!